Our 3rd time in Club St. George. 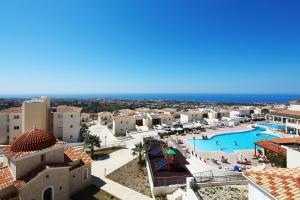 The perfect base for exploring Paphos and the area. Fully equipped kitchen, large rooms, And great value for money. Breakfast wasn't bad as well. The rooms are well planed, very comfortable, nice staff. The view from the room was simply amazing, and the room itself big enough. Overall good value for the money. Apt was clean and very spacious, and the staff were friendly. There was also a nice though diatant view of the sea. The accommodation was spacious. It was provided all facilities like cooking and washing. The pool is great, the kitchen has everything and there was a nice view from the balcony. The apartments are very spacious. The kitchen in the apartment is well equipt. The pool is suitable for small kids. Breakfast is a good English bkfst. Swimming pool very nice. A perfect place to relax, if you plan a quite vacation of resting and reading. Nothing. The worst place I have ever been in my life. Stay away from this place. 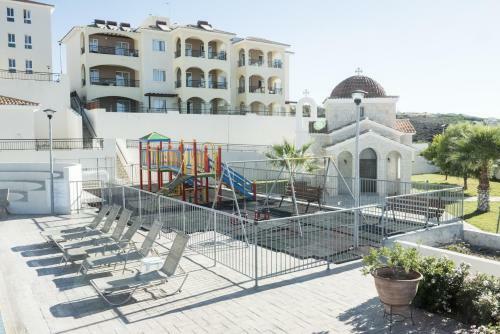 One of our top picks in Paphos.Located just a 5-minute drive from Paphos town center, Club St. George offers tastefully decorated accommodations with kitchen facilities and private balconies. It includes 2 large outdoor pools, a restaurant, a bar and a cafe. Studios, apartments and villas at St. George Hills are modernly furnished with colorful accents. Each includes a dining area and a spacious living room with a flat-screen TV and DVD player. Some units also come with a private garden. Guests can pamper themselves at the on-site wellness facilities, including massage treatment rooms, sauna, hot tub and an indoor heated pool. There is also a fully equipped fitness room for the more active ones, as well as an indoor and outdoor kids' playroom. Saint Neophytos Monastery is just 1.2 mi from the property. Minthis Hills Golf Resort is within 4.3 mi. Paphos International Airport is 11 mi away and Faros Beach is at 3.1 mi. Free Wi-Fi is provided in public areas and free on-site parking is possible. 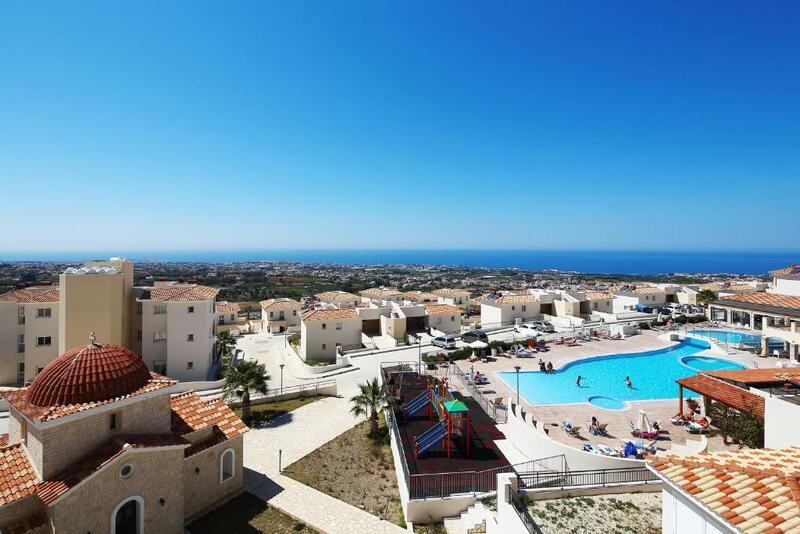 Shuttle service to Paphos Town or Coral Bay is available daily upon charge. When would you like to stay at Club St. George? Modernly furnished studio with kitchen, dining and living area with flat-screen TV and DVD player. It has a private balcony. Featuring a separate bedroom, this modernly furnished apartment includes a fully equipped kitchen, dining area and living room with flat-screen TV and DVD player. It has a private balcony. Featuring 2 separate bedrooms, this modernly furnished apartment includes a fully equipped kitchen, dining area and living room with flat-screen TV and DVD player. It has a private balcony. 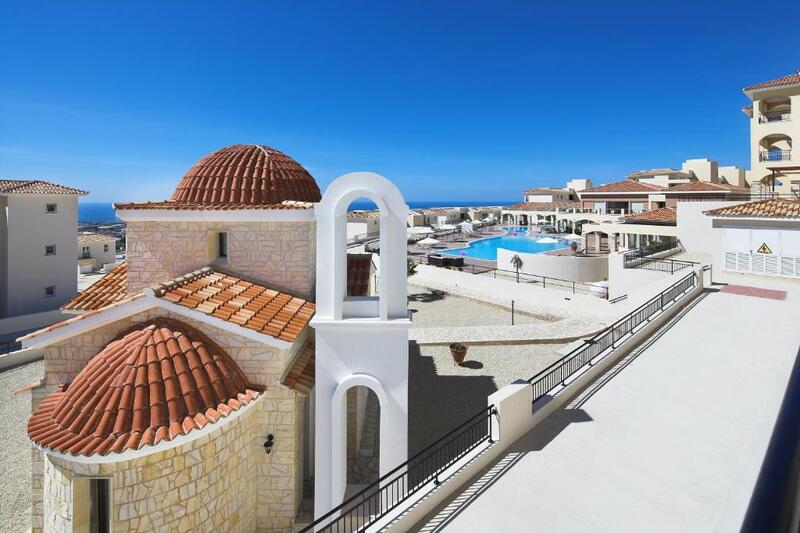 Featuring a private pool, this very spacious villa offers panoramic sea views. It includes a fully equipped kitchen, dining area, living room with flat-screen TV and DVD player. Featuring a separate bedroom, this modernly furnished apartment includes a fully equipped kitchen with an electric kettle, microwave , dining area and living room with flat-screen TV and DVD player. It has a private balcony. Please note that this room type includes free transfer from Paphos International Airport to the property on arrival. Guests are kindly requested to send the flight details to the property vial email, at least one day before their trip. 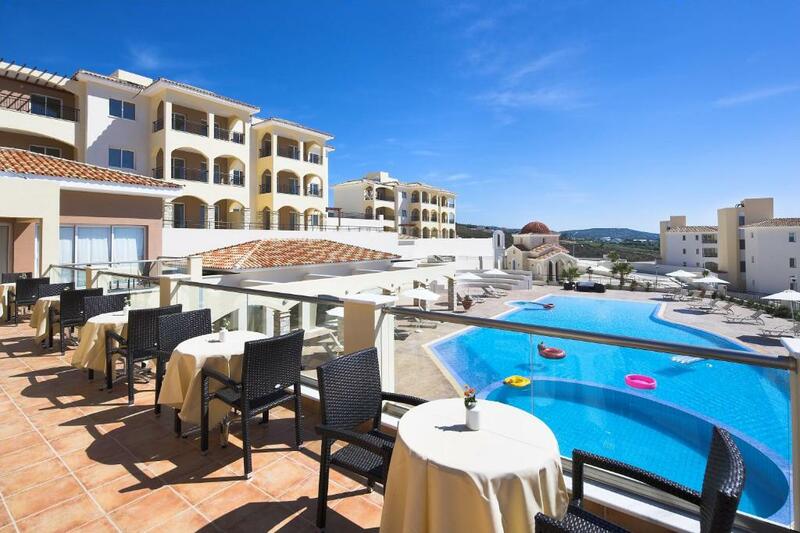 Please note that this room type includes free transfer from Paphos International Airport to the property on arrival. Guests are kindly requested to send the flight details to the property via email, at least one day before their trip. This apartment features a washing machine, DVD player and air conditioning. Please note that this room type is available only to families with children under 12 years old. Club St George offers a distinctive holiday experience that stands out from the crowd. 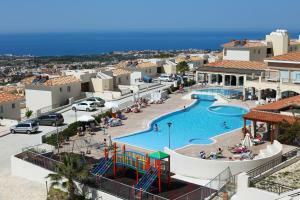 The extensive range of facilities and expansive swimming pool ensure relaxation and enjoyment. The perfect fusion of understated luxury design and functionality satisfies the most exclusive needs. The accommodation which ranges from Studios and Apartments up to 3 bed Villas with private garden and pool makes it ideal for couples and families. Club St George delivers an enriching and totally unforgettable holiday experience providing for your every need, all contained in a private gated community. House Rules Club St. George takes special requests – add in the next step! Club St. George accepts these cards and reserves the right to temporarily hold an amount prior to arrival. Please note that children are offered discounted half-board and full-board rates. Please note that the pool towels are not provided. The cleaning service was not the best. I had to complain about it because I didn't even have a change of towels every two days as they had told me. The furniture was rather old . Actually the whole appartment should be renovated . The resort is a little isolated. You really need a car to stay there. 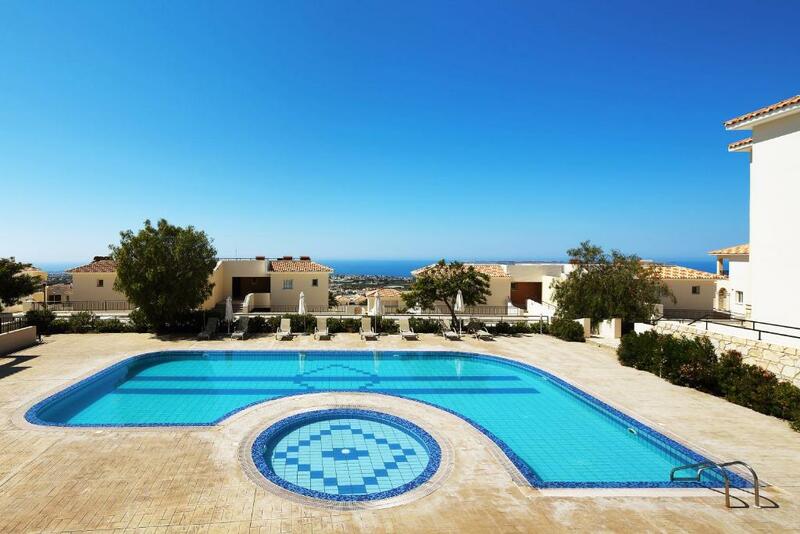 The villas had a nice little private pool with a stupendous view of Paphos. The kitchen had all the pots , pans and plates necessary for a family of five. The living room was nice with a TV that offered a few English channels. This is not a fancy hotel, and that's fine, but they should pay a bit more attention to little things that are not working. Breakfast was okay. Some of the ingredients, like jam and juice tasted really really artificial. There is so much good fruit in Cyprus...it’s a pity they don’t take advantage of that. Staff seemed really rushed or annoyed at times. The closet had a bad smell, and the bed sheets weren’t super clean (stained). You have to bring your own bath soap and shampoo. Hand soap is provided. Hairdryers don’t come with the apartment; you need 10 euro to place as a deposit. They waived it for us, which was nice! The facilities sometimes seem thrown together without much thought. Sticking a bunch of arcade games in a crammed hallway seems a little tacky, especially if it’s just to claim that you have a “game room”. You get what you pay for: nice, affordable rooms with awesome views, lower standard of service and cleanliness, and an overall hotel experience that is just sort of average. It has really nice views and the room is comfortable. The pool facilities are nice. When we arrived late, the restaurant offered to make us something quickly even though the kitchen was closed. Meals in hotel restaurant not very high quality. Nice and welcoming staff. Made sure we are happy and comfortable and have everything we need. Nice ,clean and comfortable place, perfect size. The jacuzzi was not heated. The fitness area had no usable dumbells, kettlebells or barbell for weight training. The property maintenance is very poor. We could not sit in the balcony as the water from somewhere was dripping from the roof. No cleaning provided or towel exchange. A little apart from city but no problem with rental car. Also there should be a bus going - did not check that. Good value for money. Clean rooms. Very nice view to the city and sea. Perfect location as long as you have a car.